Six decades of both iconic and intimate works by Jasper Johns (b. 1930), who is still producing at the age of 88, are given their full due in this magnificent multi-volume publication. Featuring exquisite full-page illustrations of all 813 known drawings by Johns, more than 200 of which have not been published or exhibited, the volumes demonstrate how Johns has been instrumental in elevating and establishing drawing as a major medium in contemporary art, and his drawings chart his artistic interests and aesthetic evolution. 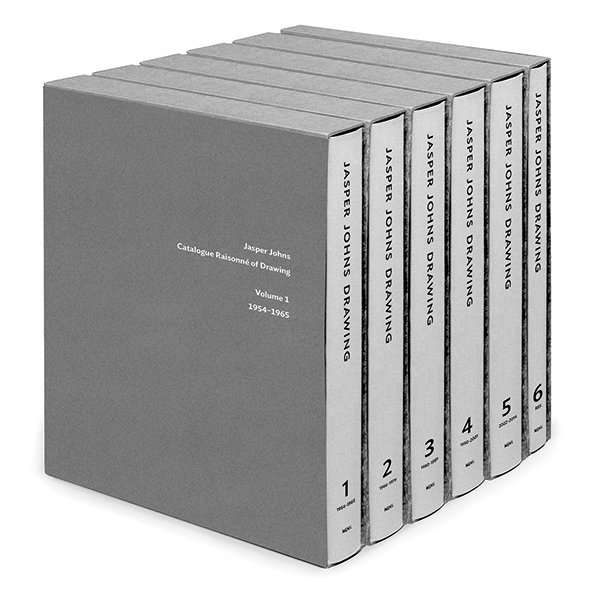 Five volumes are dedicated to the drawings, documenting materials and listing exhibition and publication histories, and the large-scale reproductions feature special production details. These include the use of special inks, such as a combination with silver for graphite works and custom mixes to represent particular colors, ensuring that the reproductions are as faithful as possible with state-of-the-art printing technology. 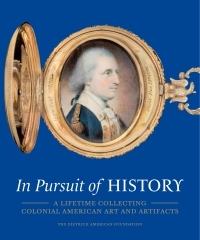 The sixth volume includes an exhibition chronology and bibliography focused on drawings, as well as indexes to the set. This landmark publication is a must-have for contemporary art collectors, drawings connoisseurs, art reference libraries, and university art departments.